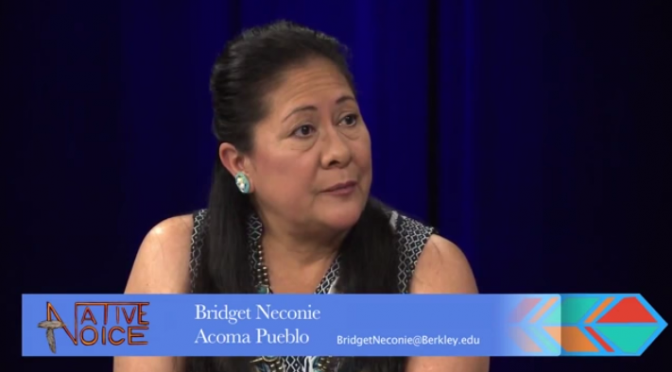 ‘Sweet Lodge Sistaz‘ – Aurora Mamea (Blackfeet), Yvonne Marshall (Eastern Shoshone & Shoshone Bannock), Bridgete Neconie (Acoma Pueblo) and Angelina Swimmer (Lakota) on Native Voice TV. 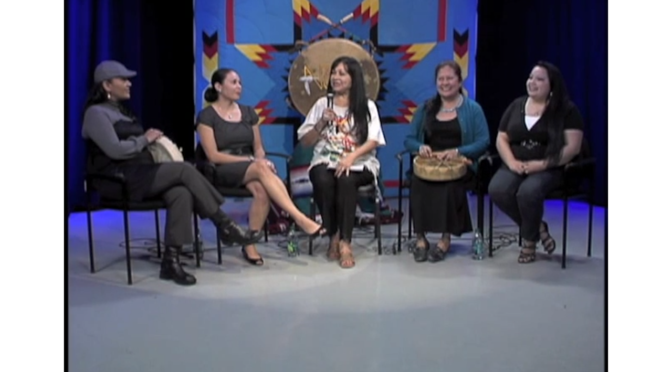 Their songs are ‘Acapella Round Dance‘ genre. It was a dream of ours, each one of us have been inspired at some point and had shared an interest in singing. Singing is uplifting and healing for the soul, it is our way of giving back to our Bay Area Native Community and a way of keeping our culture and traditions alive, sharing our gifts and talents that Creator gave to us. We hope to inspire other women young and old to follow your dreams, that you may always find that inner strength and voice within you., We are put on this earth to uplift one another….Never look down on another person unless its to help them up. “Always do what you are afraid to do”.